Anna and Wendy discuss episode 59 of Chronologically LOST, Episode 060 – November 28-29 2004 (days 68-69), featuring Locke and Charlie partnering to rescue Eko, a failed ambush by the trio on the boat, Sawyer and Kate doing manual labor, and Ben telling Jack that the Red Sox won the World Series. Podcast length 1 hr 15 min. Anna and Wendy discuss episode 59 of Chronologically LOST, Episode 059 – November 28 2004 (day 68), featuring Jack, Kate, and Sawyer waking up in an unknown location, Juliet starting to befriend Jack, and voiceless Locke and his sweat lodge vision. Podcast length 1 hr 31 min. Never Let It Fade Away: TLE’s blog – The LOST Expert – and check out his podcast All About LOST, too! Here’s a fun episode with our old LOST podcasting friend Donald of the Donald is LOST podcast! Donald joins Anna and Wendy first for some interview-style reminiscing, discussion of mysteries, and a spot of trivia. Podcast length 1 hr 02 min. 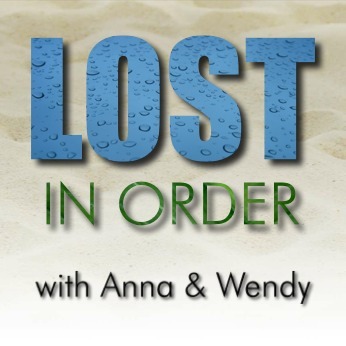 Anna and Wendy discuss episode 58 of Chronologically LOST, Episode 058 – November 27 2004 (day 67), featuring the encounter on the Others’ dock, turning the failsafe key, Desmond’s flashes back to his time with Penny, and the violet light and its aftermath. Podcast length 1 hr 17 min.